Simple yet classy and elegant, you will look utterly graceful in this Lace Placket Tunic. 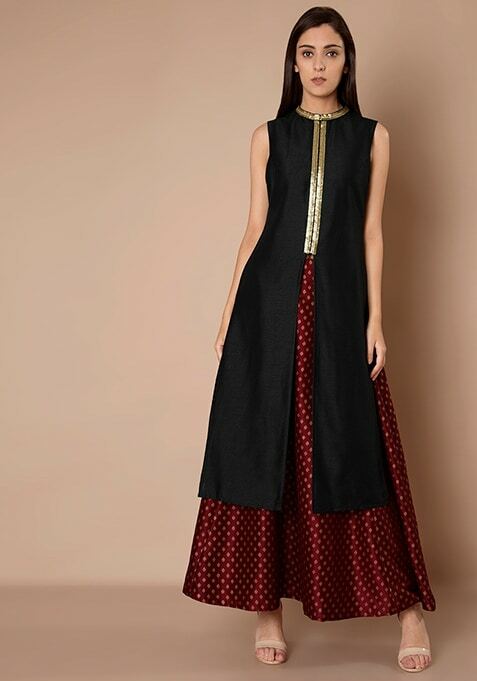 Crafted in classic black hue, featuring a gold embroidered lace along the neck and placket, this beautiful piece is a must-have! Work It - Combine it with a silk maxi skirt and sequin clutch bag to look fab.